Thursdays just got juicier thanks to The Foundry restaurant’s Steak Feast promotion. Indulge in a collection of signature dishes served directly to your table. 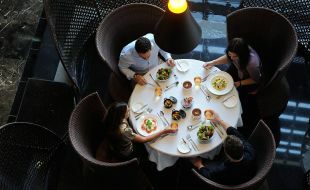 Enjoy multi servings of a delightful selection, including freshly-shucked oysters, crisp salads, and top-quality cuts. For reservations and additional information, call us on +971 2 818 4888 or email us on abudhabi.dine@tsogosun.com.